Land Rover reckons that this Discovery Sport is the most versatile premium compact SUV currently on sale - and it's a credible claim. This is, after all, the only prestigiously-badged car in this segment that can seat seven. It's also smart, practical, safe - and rugged enough to go a lot further than its rivals off the beaten track. Media connectivity can even now alert you if you've left an important personal item behind. Plus a state-of-the-art range of 'Ingenium' 2.0 TD4 diesel engines offer class-leading power and efficiency. It all means that there's nothing else quite like this car. 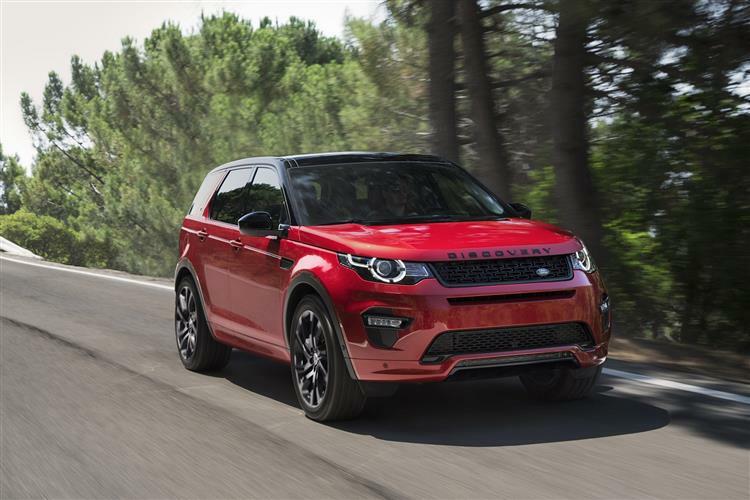 Land Rover's Discovery Sport continues to cement its place in the the family SUV segment. Updates in media connectivity and safety build on the efficiency of the brand's Ingenium engine technology and make it ever more difficult to ignore. Jonathan Crouch reports. Think of Land Rover's current product line-up and you have to think in terms of three things: 'Luxury', as defined by the various Range Rover models. The 'Dual Purpose' practical role typified by the tough Defender range. 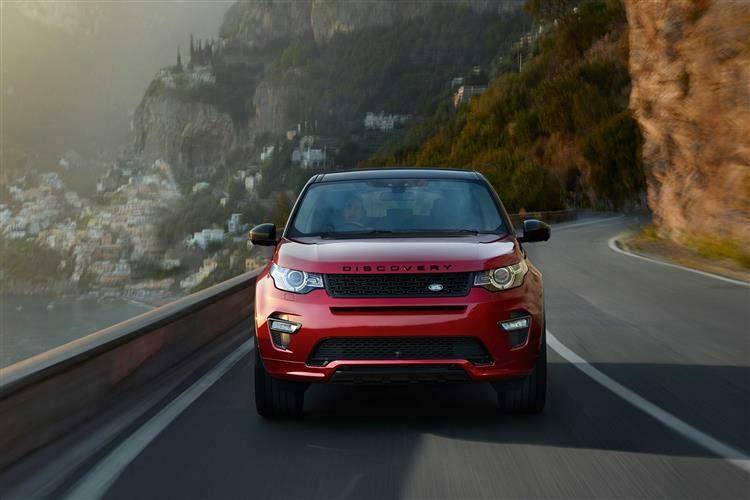 And the 'Leisure' emphasis of the Discovery line-up, one that starts right here with this car, the Discovery Sport. Yes, this is Land Rover's representative in the important compact SUV segment but it's far more than simply a direct replacement for the Freelander models that previously filled that role. These were cars that sat uncertainly between mainstream RAV4 and CR-V-style soft roaders in this class and the more premium-badged models typified by contenders like BMW's X3 and Audi's Q5. As a far more up market-looking thing than its predecessor, this Discovery Sport firmly positions itself in with the pricier players and offers somethingh they can't provide: seven seat flexibility. 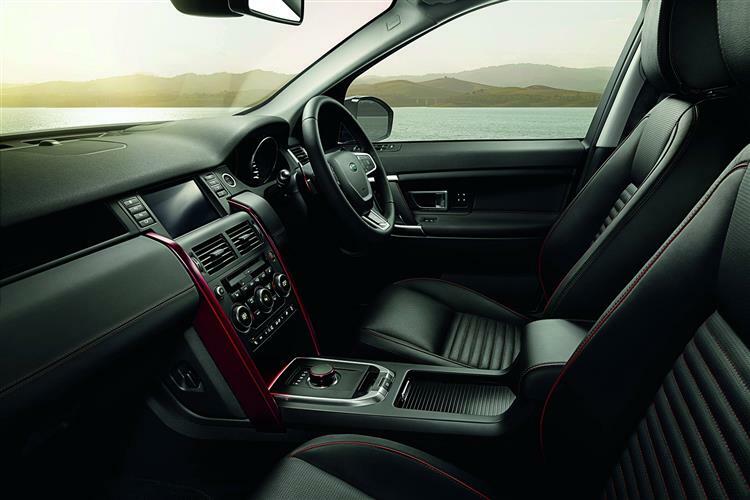 Since the original 2013 launch, Land Rover has continually been improving this car, most significantly by adding its efficient Ingenium diesel engines under the bonnet. There've been plenty of detail changes too, particularly in terms of media connectivity. Today's model even has a Bluetooth tracking device that works with its 'InControl apps' package and ensures that you'll never leave important items behind. Family-orientated through and through you see. 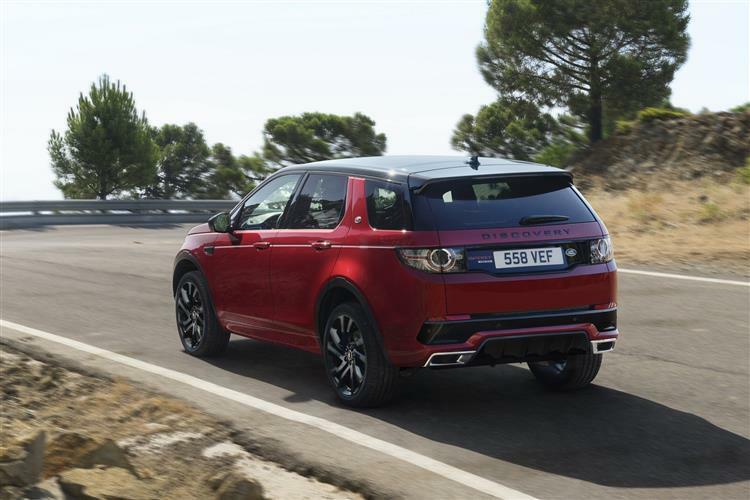 On to engines, which are Land Rover's advanced 2.0-litre four cylinder Ingenium TD4 units, shared with the Range Rover Evoque and designed to deliver improved efficiency, along with class-leading torque and power. The most affordable TD4 unit in the range comes with 150PS and 350Nm of torque, but it's only offered with this car in five-seat form. Here, 62mph from rest occupies 11s on the way to 112mph. Most though, will want the 180PS variant which comes only with the seven-seat layout and delivers a much lustier 430Nm of torque. Here, there's a maximum speed of 117mph, while 62mph from rest takes 9.4s, though you can reduce this figure by a second if you take up the option of the slick nine-speed ZF auto gearbox many owners will want. More importantly, this variant has enough pulling power to permit a towing capability of up to 2,500kgs when the optional Tow Pack is fitted. Both the TD4 powerplants come mated exclusively to 4WD. This, by the way, is a proper permanent set-up rather than the less effective 'on-demand' AWD system that this car's less capable competitors use - and which Land Rover itself offers on this model in other markets. Even if you'd never seen a picture of the Discovery Sport, you could probably generate a reasonably accurate mental sketch of it were you to imagine crossing a Range Rover with a five-door Evoque. It's a really handsome piece of design work. 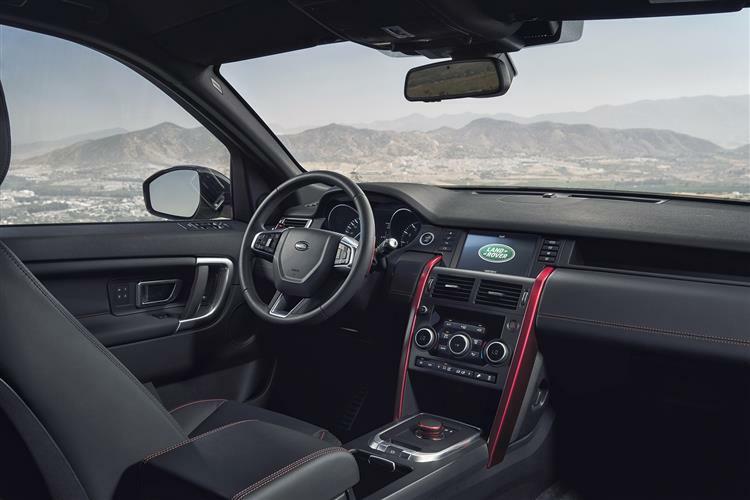 The wheels are pushed nicely to each corner and there's that distinctive canted forward C-pillar profile that became such a Freelander signature. 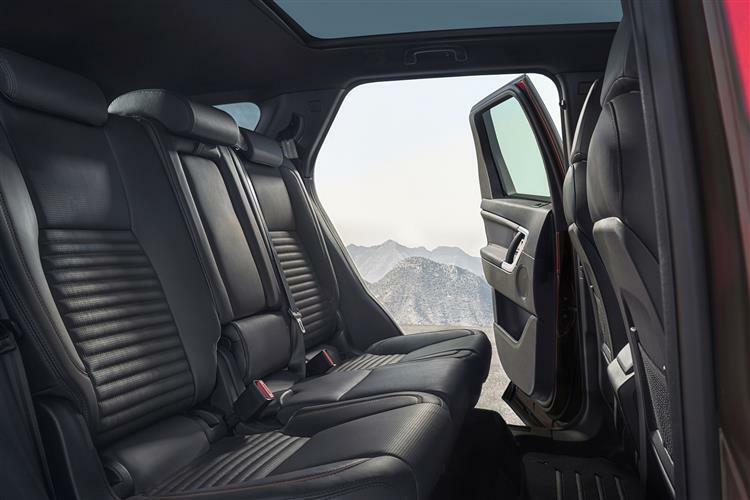 Land Rover describes the seating arrangement as '5+2' rather than a full seven-seater: that's because the rearmost seats are designed largely for kids and occasional use. The middle row of seats can be reclined, slid back and forth by 160mm, and also splits 60:40. They're also 5cm higher than the fronts which affords a good view out. Boot space measures a useable 195-litres with all seats up, but the Discovery Sport is likely to spend most of its life in five-seat mode, in which case you get a massive 830-litres. Fold both second and third rows and you can carry up to 1,698-litres. In the Freelander era, there was always quite a price gap between Land Rover's compact and full-sized SUVs. 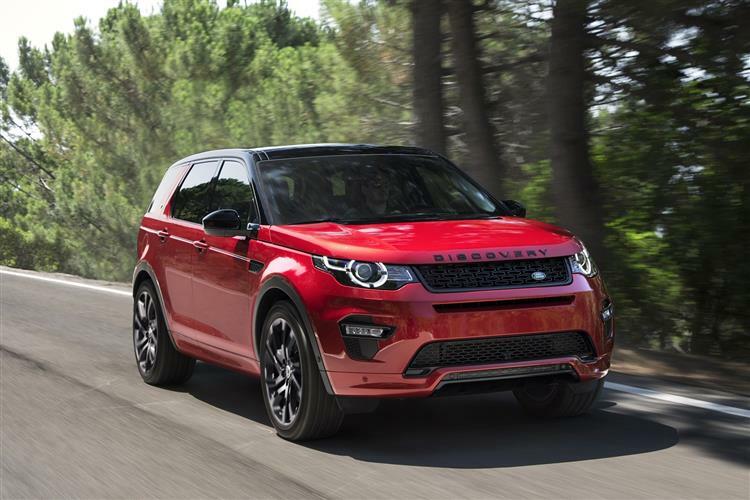 Part of this Discovery Sport's remit is to narrow that, this car there to push the brand's compact SUV offering up-market, which in turn makes room for the company's new-generation Defender model to slot in beneath. That explains pricing that sits in the £31,000 to £43,000 bracket for mainstream models which are powered by the brand's efficient 2.0-litre TD4 'Ingenium' series diesel engines. There's a choice of two - a 150PS unit you can only specify if you're happy to have this car in five-seat form with a manual gearbox. Or a 180PS unit that only comes with the seven-seat layout and provides the choice of either manual transmission or a nine-speed automatic that's offered at an £1,800 model-for-model premium. Across the range, buyers are offered the choice between four trim levels - 'SE', 'SE Tech', 'HSE' and 'HSE Luxury'. Whatever your choice, all variants come with permanent 4WD. Recent spec changes include the additional of an optional 'Graphite Pack' that really makes the car stand out. Plus you can have the updated InControl Touch Pro infotainment system with a larger 10.2-inch screen and equip it with a clever 'Tile' Bluetooth tracking app that will alert you if items you've determined to be important to your journey aren't in the car when you leave. Additional safety features now include a 'Driver Condition Monitor' that searches for signs of fatigue as you drive. And 'Lane Keep Assist', along with an 'Intelligent Speed limiter'. There are two units on offer, both mated to permanent 4WD. The 'E-Capability' 150PS version is inevitably the cleanest and most frugal, managing 129g/km of CO2 and 57.7mpg on the combined cycle. Most buyers though, will want the TD4 engine in pokier 180PS guise, where the CO2 figure is 139g/km and the fuel return is 53.3mpg. Impressively, those figures apply to both manual and automatic variants. 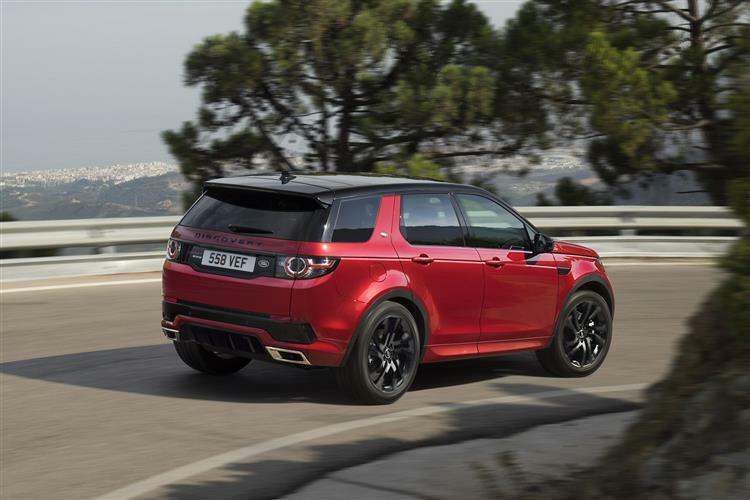 This means that the 65-litre fuel tank should give you a touring range of well over 700 miles. As for residuals, well Land Rover's in a real run of form at the moment and demand for clean used Evoques is buoyant. 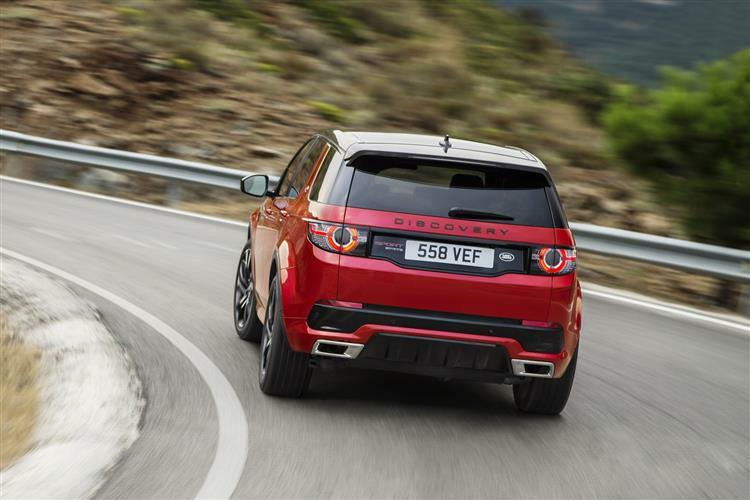 There's no reason why the Discovery Sport shouldn't follow in that vein. If you thought an Audi or a BMW were the safest places to put your money in this sector, it's time to think again. Once again, Land Rover has looked at a market that many thought was packed to bursting point and spotted a significant gap, into which it's parked the Discovery Sport. What other car of this kind can seat seven, set off in the Serengeti and slot right in as easily in Sloane Square as it will in the tightest multi-storey carpark space? No other premium compact SUV can do all this. Which is why this model is going to continue to cause all kinds of headaches for similarly-priced up-market contenders of this kind sold by Audi, BMW, Volvo and Lexus. 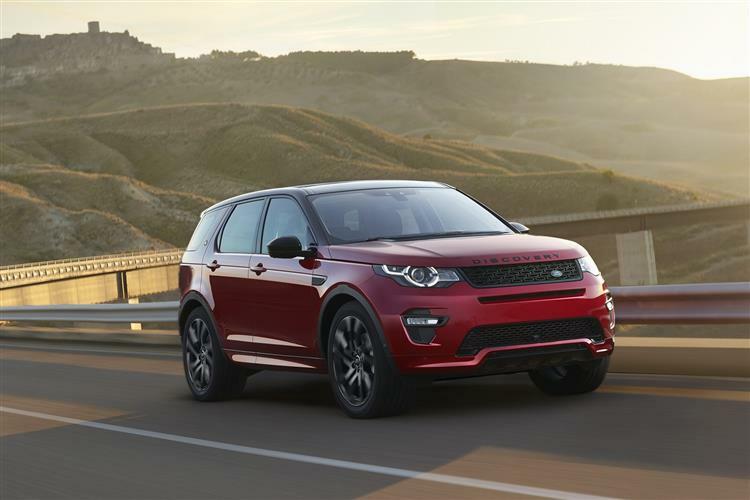 Discovery Sport buyers can get all the style and class of such cars with the additional versatility of seven seats, a feature that'll also attract the attention of people who'd previously have had to settle for something Korean like a Hyundai Santa Fe or a Kia Sorento. You get extra off road prowess with a Discovery Sport too, though it's not quite a match for its German rivals if you want to throw your car around on-tarmac. Fortunately, most SUV buyers don't, prioritising instead the kind of supple highway ride and fast fluid responses this car is actually very good at delivering. It all means that for once, the advertising tagline for this model works for the product it's supposed to promote. 'Above and beyond' was the objective in developing this car. In considering the end result, you'd have to say that mission's been accomplished.